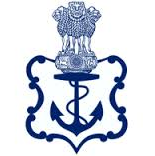 Govt of India, Ministry of Defence, Indian Navy has given a notification recruitment of Sailors for AA – FEB 2019 Batch vacancies. Other details like age limit, educational qualification, selection process, application fee and how to apply are given below. Educational Qualification: 10+2 with 60% or more marks, For more details Please read Official Notification. Age Limit: Candidates should be born between 01 Feb 1999 to 31 Jan 2002 (Both dates inclusive).